Want to know what my very favorite part of summer is? It's reading--preferably while sitting on the beach soaking up the sunshine. Even though the kids still have about a month of school left, my summer has arrived. I finished grading finals last week, just in time for my parents to come to town. We spent five glorious days together getting projects done around the house that my health and frenetic schedule have not allowed me to do this past school year. Sadly, they left on Tuesday, and while I miss them terribly, now I have more time for reading! 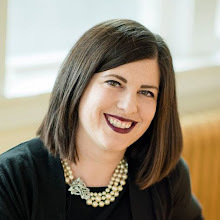 I am not teaching at all this summer, and though I do have one singing gig in July, it isn't as demanding rehearsal-wise as other summers have been. So I hope to knock out lots of the books that have been hanging out on my to-read list. I keep my to-read list on Goodreads, and every time I go to that website the list somehow gets longer. I love having access to the list all the time via my phone. 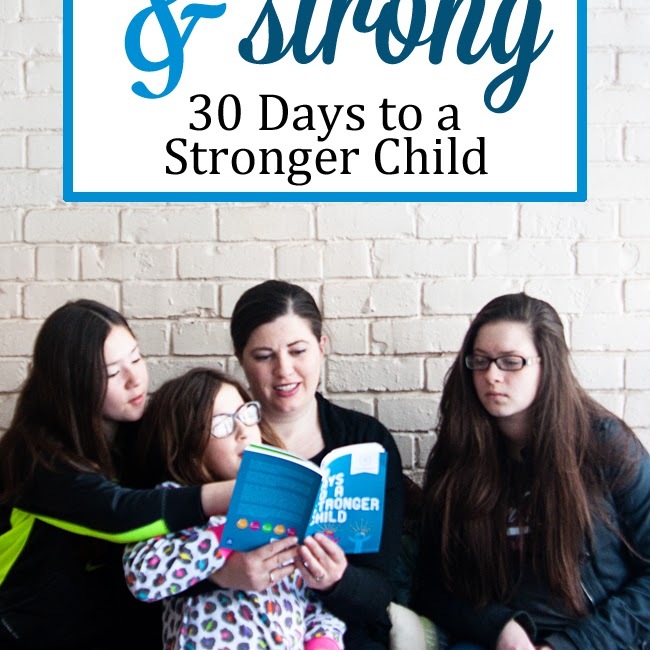 When I am at the library book sale or a yard sale or Goodwill, I can consult my list for the books I want to read and purchase them for great deals. I do the same thing when I see the sales lists for Kindle books. My name is Lara, and I am a book hoarder. Basically, my summer lists are almost always a bunch of books I already own but haven't gotten to yet, with a couple of "I just really want to read this" books thrown in for good measure. 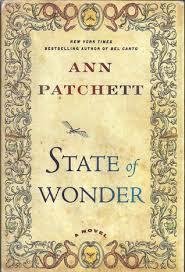 State of Wonder by Ann Patchett has been sitting on my bookshelf for three years and I still haven't gotten to it. I chose this book as my free book from the library for completing the summer reading program in 2012! I chose it because Bel Canto by Ann Patchett is one of the top five books I have ever read. Many reviews of this book extoll it as being even better than Bel Canto, though part of the reason I loved Bel Canto so much is because of the music and opera aspect. Still, this one promises to be interesting, so I'm excited to read it. I love Ann Patchett's beautiful use of the English language--even though I've only read the one book so far, her musical way with words has stayed with me for years. As Chimney Sweepers Come to Dust by Alan Bradley. 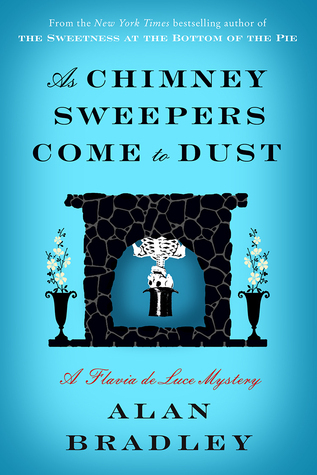 This will be the seventh installment in Bradley's Flavia de Luce series. #6 was on my list last summer and was the first one I dug into. I've said it before, and I'll say it again: Flavia is one of my favorite literary characters ever. Flavia is a 12-year-old, mystery-solving, bike-riding, chemical-mixing genius in 1950s England. 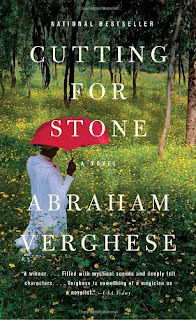 She is completely ignored by her older sisters and her preoccupied father and finds herself in the most extraordinary situations--always involving murder of some sort. But, much to the chagrin of the local deputy, she always solves the mystery. I can't wait to see what this one is about! 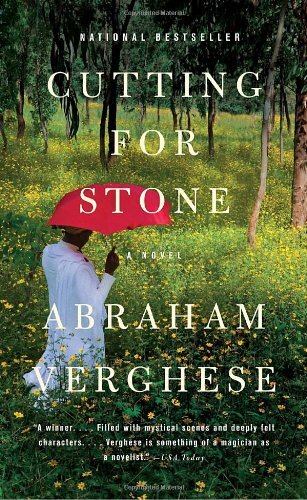 I have a long list of Goodreads friends who have read this and raved over it in their reviews. With that much good press, I'm sure I'll love it. Plus, the story does sound very interesting and just the kind of thing I love to read. Shadow of Night by Deborah Harkness is the sequel to A Discovery of Witches. I literally just finished A Discovery of Witches yesterday--it's been sitting in my Kindle for a while, waiting to be read. I finally started it while I was in Chicago with The Maestro's orchestra a couple weeks ago and I really enjoyed it. I will admit that it is too long, and could have used an editor willing to chop out all the extraneous bits, but the story itself was solid. I put the second book (which looks to be equally as long) on my summer list because I really do want to find out what happens. 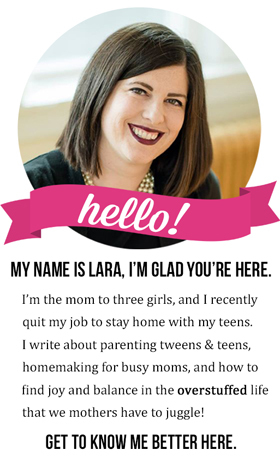 Those darn authors ending their books in a way that make you want to read the next one! 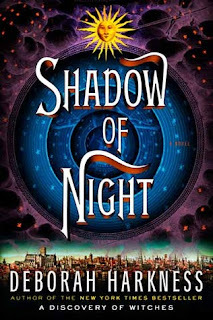 Besides, my friend said that Book 2 was definitely her favorite of the All Souls trilogy. I always try to have a few self-improvement type books in my queue, and this summer is no different. Eat That Frog! by Brian Tracy. This book is all about how to stop procrastinating and how to get more done. I've had this book on my Kindle for a few years. I also have a problem with procrastinating. Whether or not my book hoarding tendencies prove that, I'm not sure, but I could point out several other proofs of my procrastination if you wanted me to (if I ever get around to it, that is). I'd like to learn to stop it. 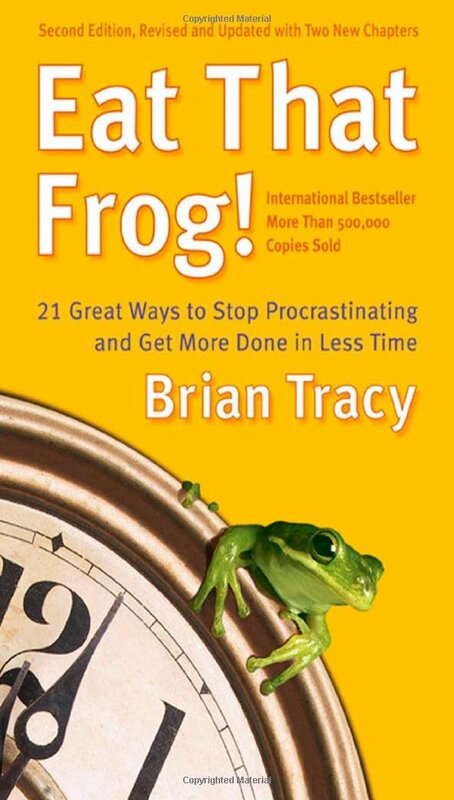 The title is based on Mark Twain's words “If you know you have to swallow a frog, swallow it first thing in the morning. If there are two frogs, swallow the big one first.” Sounds like good advice to me! 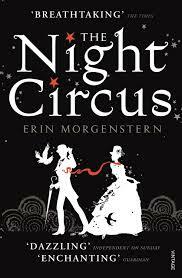 The Night Circus by Erin Morgenstern is amongst the books that have been temporarily re-homed on my dining room floor. It's been on my to-read list for a while, based on seeing some good reviews. Another review of it just came up on my Goodreads newsfeed this morning and reminded me that I picked this up last summer at the library book sale. I have no idea what to expect from this one. I know it has some romantic elements as well as wonderful descriptions of the circus life, magic, and mystery. Sounds perfect for reading at the beach! 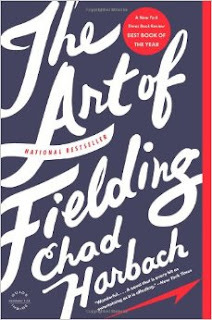 The Art of Fielding by Chad Harbach showed up on a few best books of the year lists a while back. I saw it on a Kindle sale and picked it up because I knew it was on my own to-read list. And--you guessed it--there it's been sitting. This is the story of several baseball players on one team and the way they deal with the various curve balls life throws at them. The book is less about baseball and more about the human experience. It actually has very mixed reviews, despite being on those best books of the year lists. But, since it's in the Kindle, I won't let that deter me and I'll have to form my own opinion. 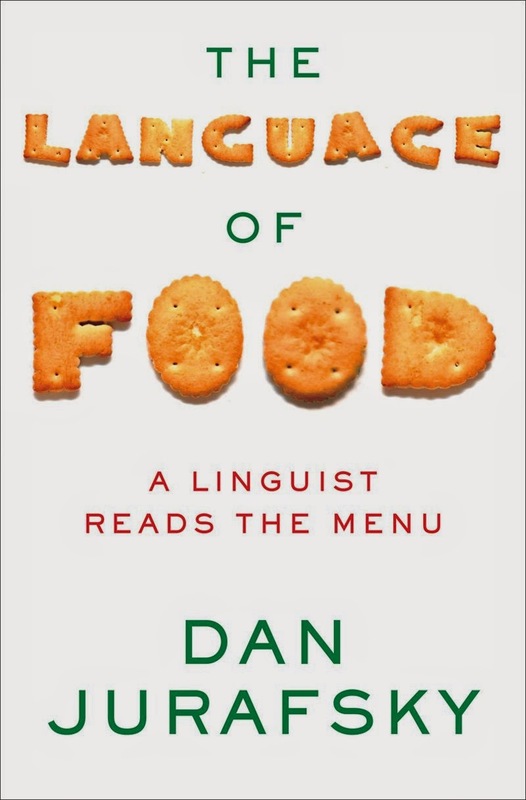 The Language of Food: A Linguist Reads the Menu by Dan Jurafsky is my token non-fiction book for the summer. Though I stick to reading mainly fiction, I actually really enjoy non-fiction, especially if it is about language. I was a linguistics minor in college and, as an opera singer, I have had to sing in many different languages. I love the history of language and learning about words and their origins. 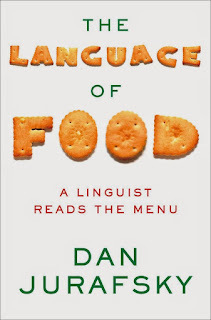 I also like food, so it will be fun to learn about how the names of foods have come to be. I saw a review of this book somewhere and it really intrigued me, so I decided I would put it on my list this summer. It's actually the only one I don't already own, so I'll be looking out for it on a Kindle sale (but first I'll actually check the library for it!). 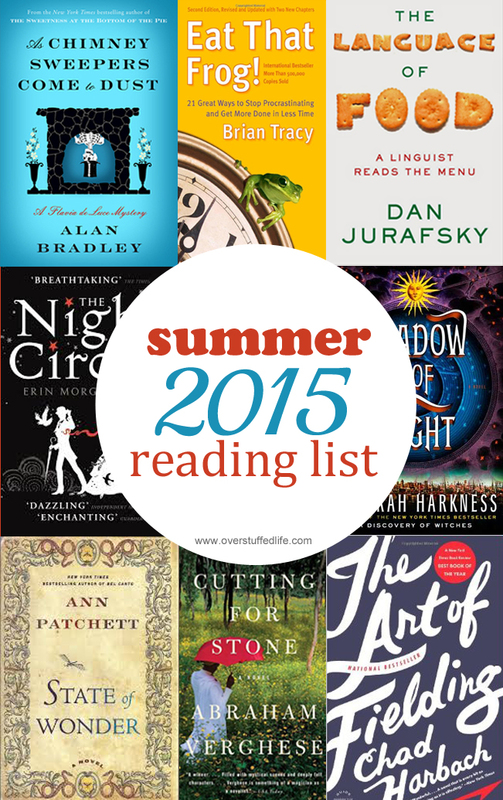 So, there's my summer reading list for 2015! Now, what's on YOUR reading list? I really do want to know, because 8 books will not be enough to keep me occupied this year. The Farmer's Almanac says it's going to be a hot and dry summer, so I'm expecting to get an awful lot of beach reading in!